BunsenLabs shows itself to be a worthy successor to the earlier and very popular CrunchBang distribution, and it also works on older computers. Once started, BunsenLabs takes up about 200MB of main memory so for systems having only 256MB of RAM, it is somewhat large. On the other hand, computers with 512MB of main memory have no problem handling this operating system. Raw beginners will struggle with BL unless they are enthusiastic about the prospect of learning Openbox. MX Linux is the better suited distribution for beginners. BL lacks a proper beginner's manual (Figure 3), and it works much differently from Windows and Mac OS X. The KISS principle  runs like a thread through both the design and the features. 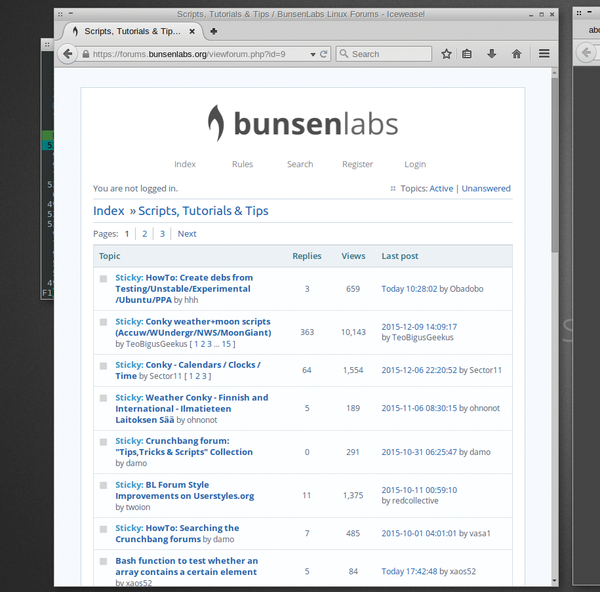 Therefore, users with some Linux experience who value function over frills should definitely look at BunsenLabs. Figure 3: There is sufficient reading material including tutorials. Time will tell whether a well-functioning community can develop around BL, or whether divisions among numerous CrunchBang successors will prohibit this. It is clear that the community will comprise the determining factor in whether BL finds long-term success as a niche system. Now that you've tried Ubuntu, are you ready to explore other Linux distributions? Like Ubuntu, CrunchBang is a Debian-based distro with a lot to offer.